I got back from Charleston last night and am already thinking about planning another trip back!! I had so much fun exploring the charming city, eating all of the food and doing a bit of shopping. The one store I really scored big in? Lake Pajamas. I’d never tried the brand before, but had heard amazing things from friends of mine. I ended up finding it when walking back up King from shooting photos of homes in the neighborhood. I was so relieved to discover it was open on Sunday and walked right in! This dress is almost too darling to be meant for sleep. I bought it in the “Plains” color combo! Looking for a super soft everyday set? I picked up this shorts set in “Dusk”. This striped set in THE EDIT is so fab too! Unfortunately the shorts ran a bit small on me in the small and the top was a bit too big for me in the medium, so I didn’t end up buying. This heart print set is precious! This striped dress is another great lightweight style for spring/summer! The third set I picked up was this simple striped set in “Succulent”. Such a unique and interesting color combo! The striped tie straps on this dress are such a fun detail! For sizing reference: I ended up getting a small in all three sets I picked up – I normally wear a 4 or 6! 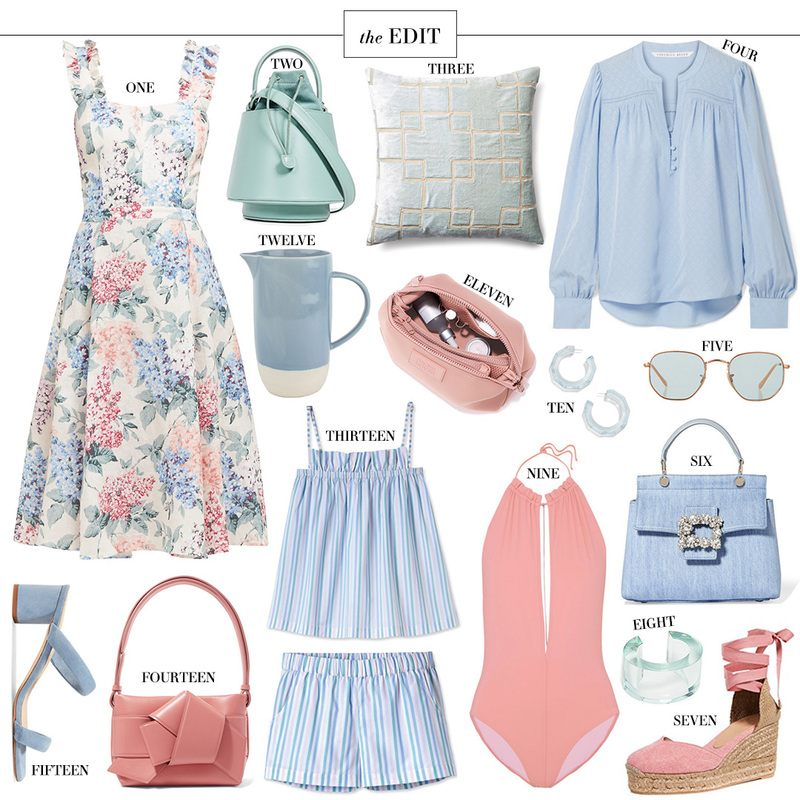 This may be one of my favorite Edits ever – such pretty spring vibes! The color palette of these picks are so cute!! Charleston is always a good idea. I think I’ve been 20 times. Savannah is amazing too!